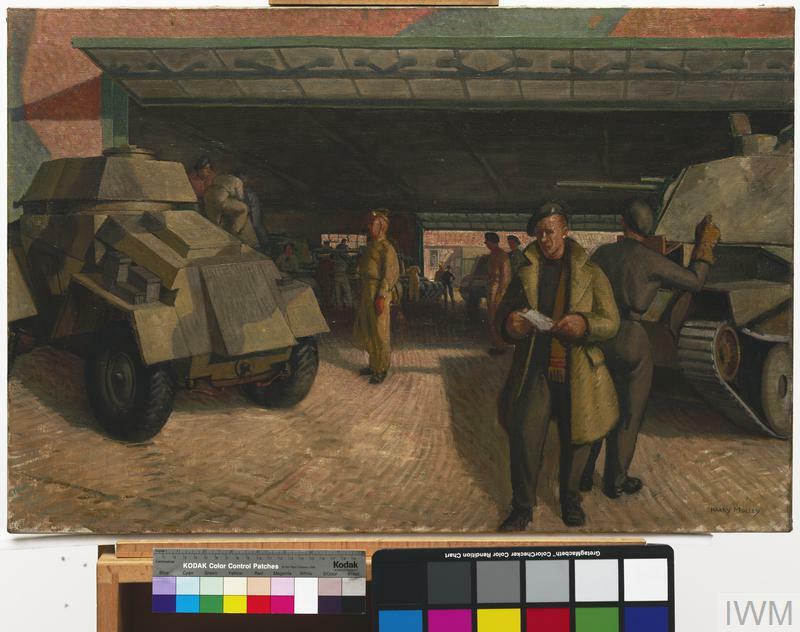 image: A tank park with a Guy armoured car parked to the left and an A13 tank on the right. 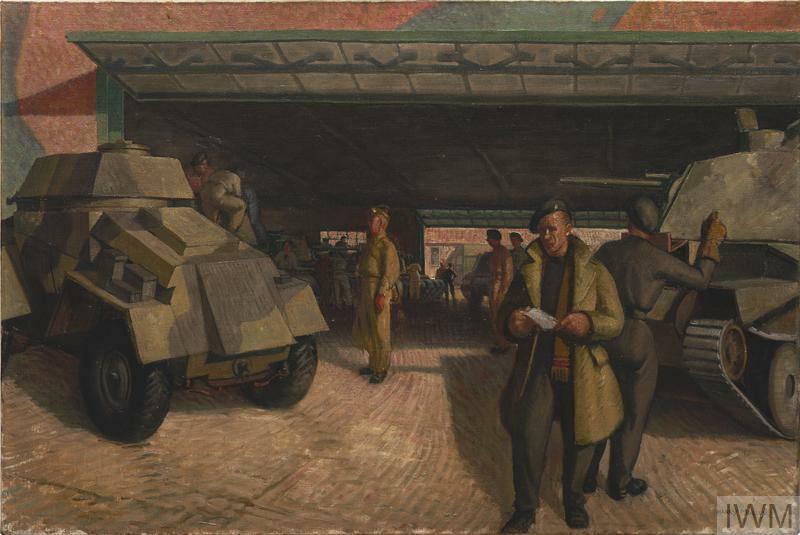 The tank is partly obscured by soldier standing in front of it, pointing and a second soldier, facing the viewer in the foreground, who appears to be examining a piece of paper. In the background several crews appear to be working on various vehicles.